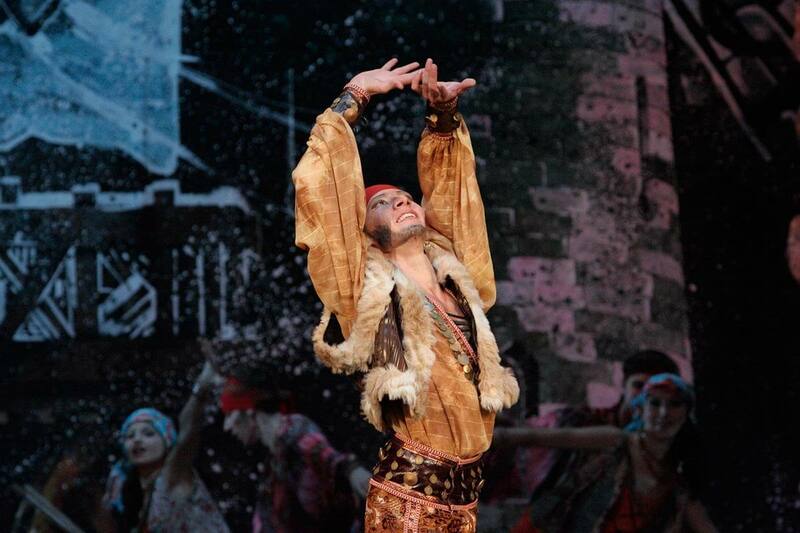 The history of the world ballet knows many examples of creative collaboration of a composer and a choreographer. 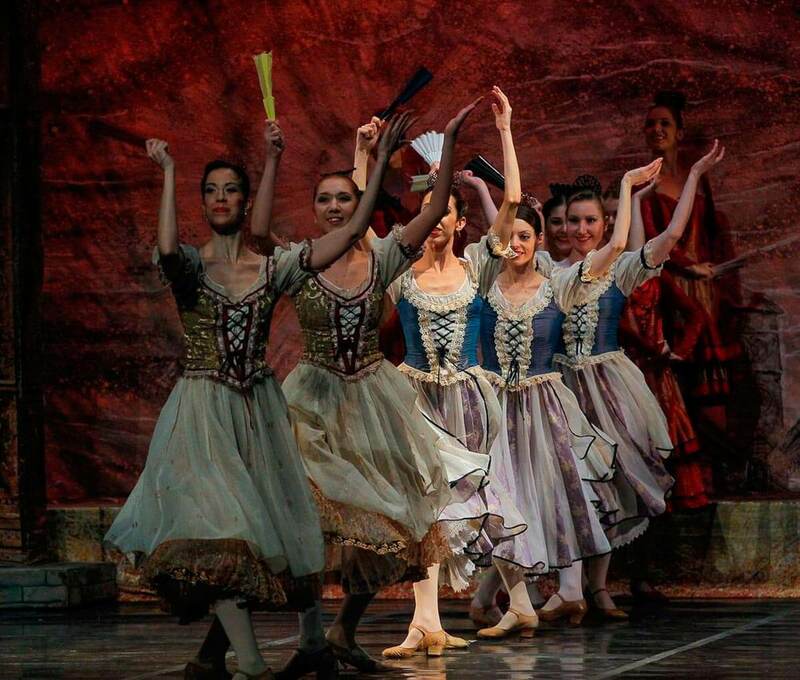 The reason for this lies in the nature of the ballet genre in which the music and the art of Terpsichore merge. One of the most famous creative tandems in the XIX century was cooperation between Ludwig Minkus and Marius Petipa. 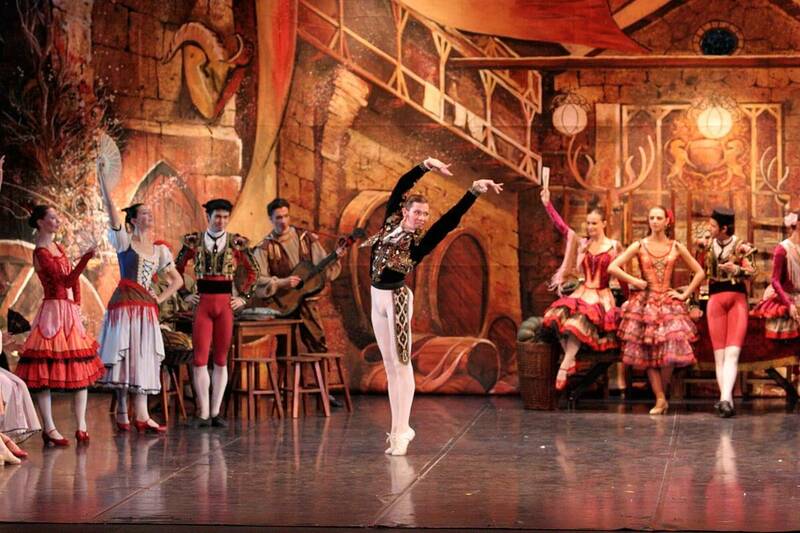 Thanks to this cooperation appeared the ballet “Don Quixote”, which has become part of the art treasury. Violinist and composer Ludwig Fedorovich Minkus (1826-1917) was born in Vienna, where he received his musical education. In the 1850s Minkus arrived in Russia and worked as a Kapellmeister of the serf orchestra of Prince Nikolay Yusupov, and later moved to Moscow, where he was a soloist in the orchestra of the Bolshoi Theatre. When the Moscow Conservatory opened, N.Rubinshteyn invited Minkus to be a teacher of violin. 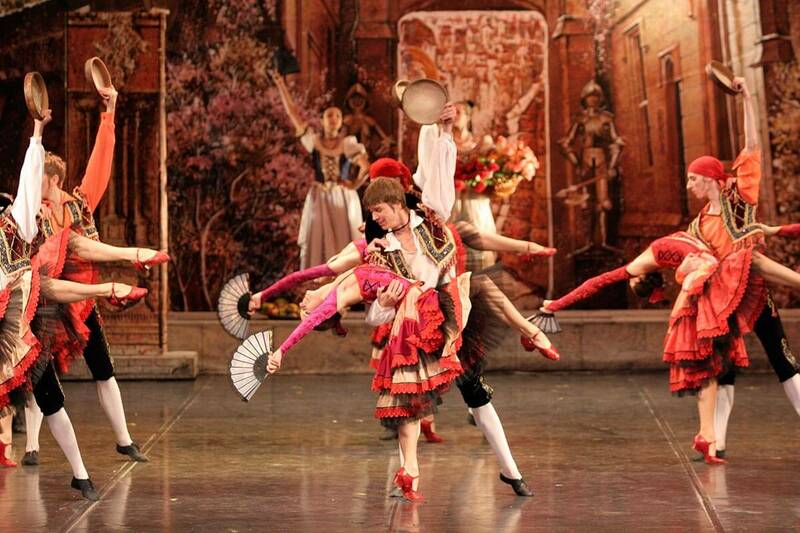 Three years later, choreographer Marius Petipa drew Minkus to the creation of “Don Quixote”. Like Minkus, Marius Petipa (1818-1910) belonged to the “Russian foreigners”. 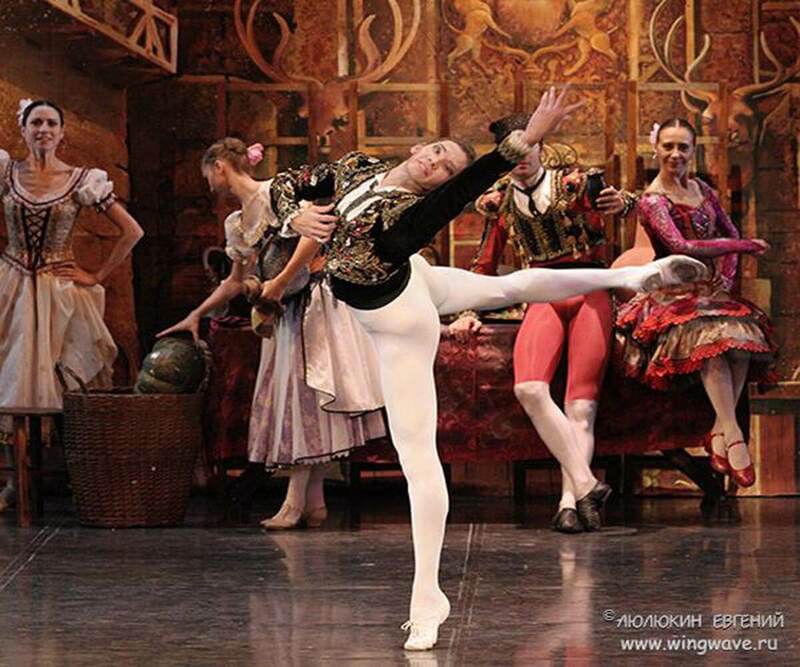 His name was linked to the brilliant flowering of Russian Ballet. Being a Frenchman who was born in Marseilles, Marius Petipa began working in Russia in 1847. As a choreographer of the Petersburg stage, he performed as a dancer as well and he created new ballets nearly every year starting from 1857. 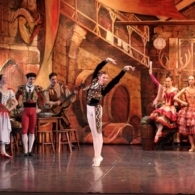 The plot drawn from the novel “Don Quixote by M.Cervantes, at which Petipa decided to create his next ballet in 1869, was incarnated on stage more than once. 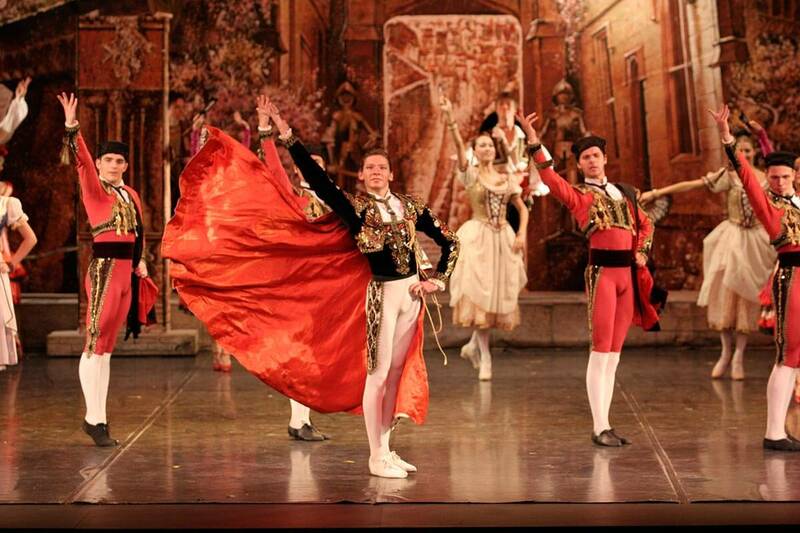 Ever since the XVIII-th century, performances with this name were shown in many European theaters. 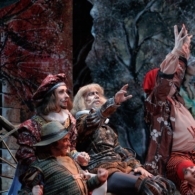 The plot is based on an episode from the history of the wanderings of Don Quixote and Sancho Panza. 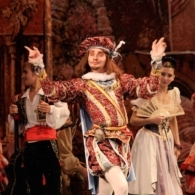 The “Knight of the Sorrowful Countenance” and his faithful squire help young beauty Kitri to fool her greedy father who dreams to marry her to Gamache, a foppish nobleman, and to escape with the funny barber called Basil. The creative cooperation of Minkus and Petipa lasted for many years. 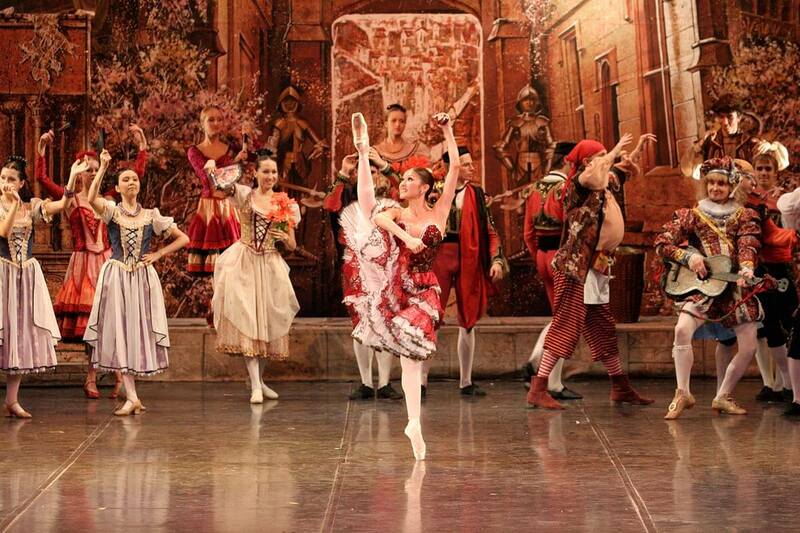 The composer wrote 16 ballets for Petipa’s stage adaptations. 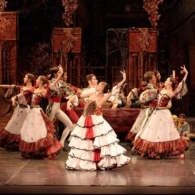 The best known are The Bandits, La Bayadere, Fiametta, but Don Quixote has remained one of the best creations of this tandem. 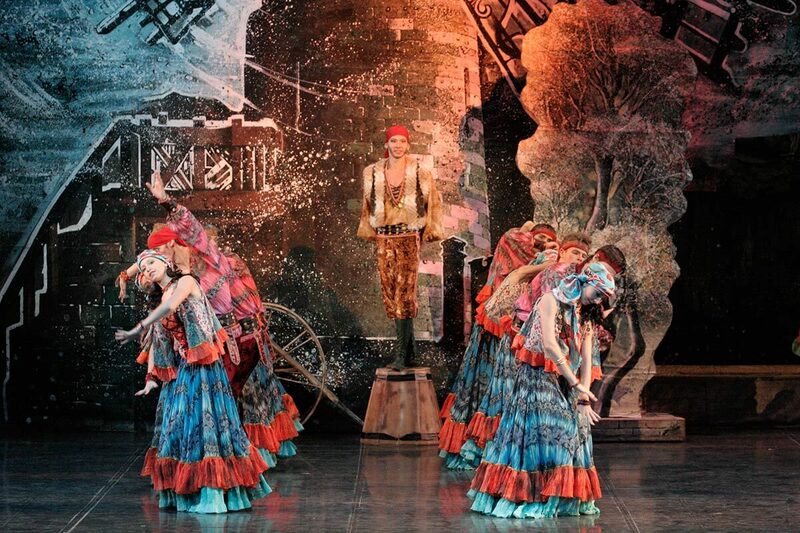 “Don Quixote” is rightly recognized as a classic of the ballet genre. 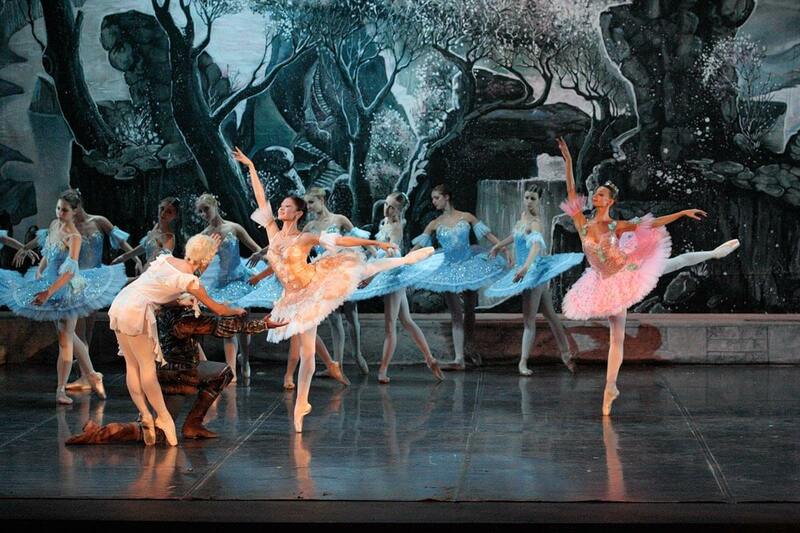 However, some special turnarounds happened in the scenic history of ballet. 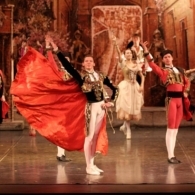 In 1900, during Petipa’s lifetime, new choreographic version of the ballet was made by young Alexander Gorsky (1871-1924), who had just graduated from the St. Petersburg Theater School. 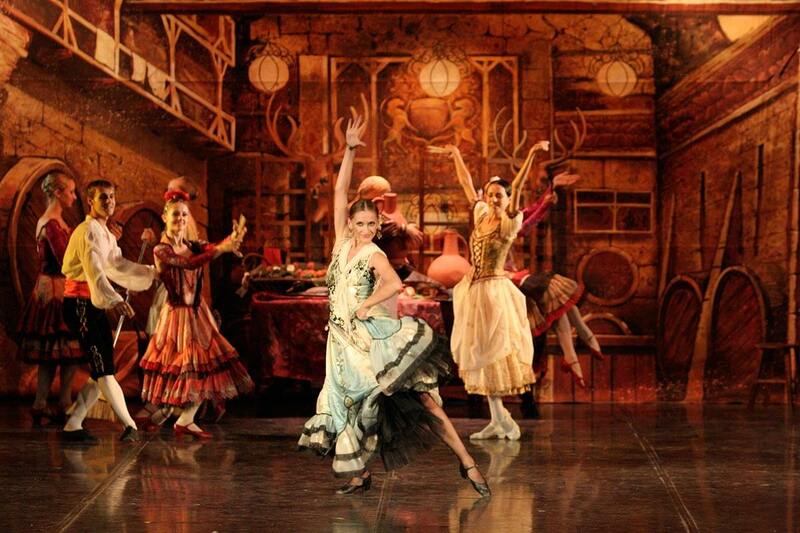 Over the next century, the choreographic versions of the ballet were repeatedly updated. 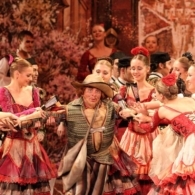 Today, the Imperial Russian Ballet presents the ballet “Don Quixote” in its original version by choreographer Gediminas Taranda. In a Barcelona square, near Lorenzo’s tavern reigns a festive excitement. 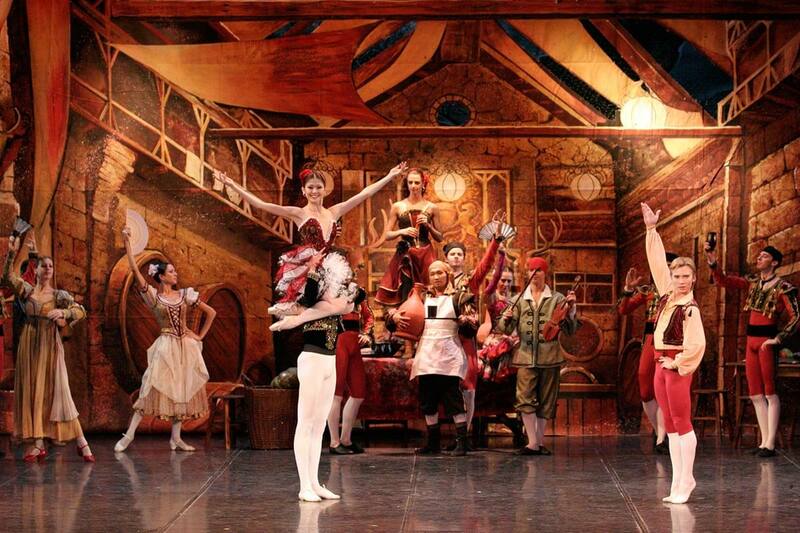 The innkeeper’s daughter called Kitri is flirting with barber Basil, who is in love with her. 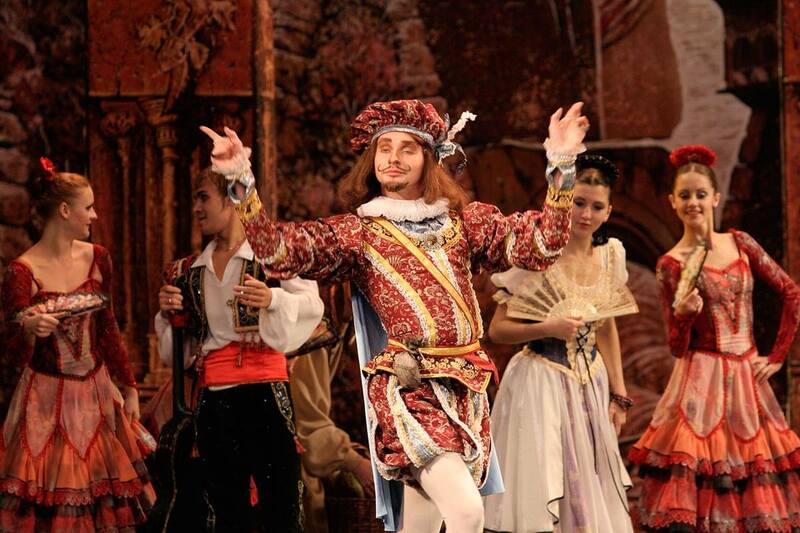 Kitri’s father, when he sees them together, banishes Basil. He wants his daughter to marry a rich nobleman called Gamache. 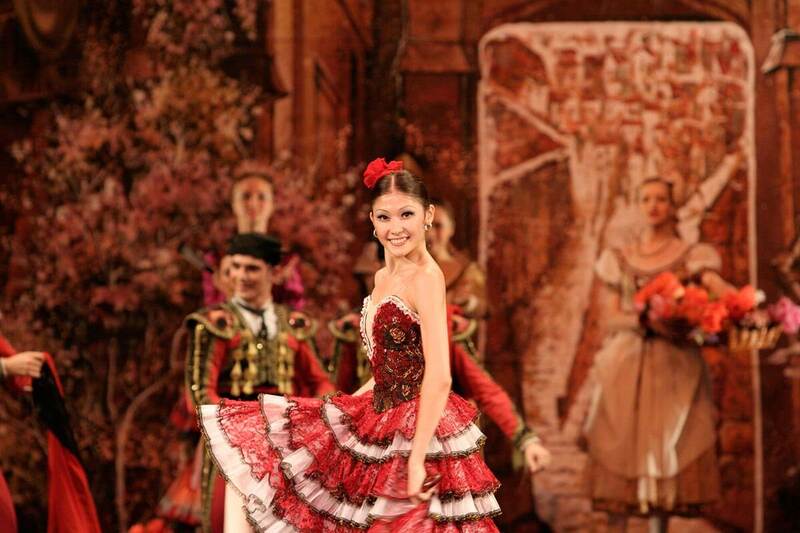 But Kitri refuses flatly to submit to her father’s will. 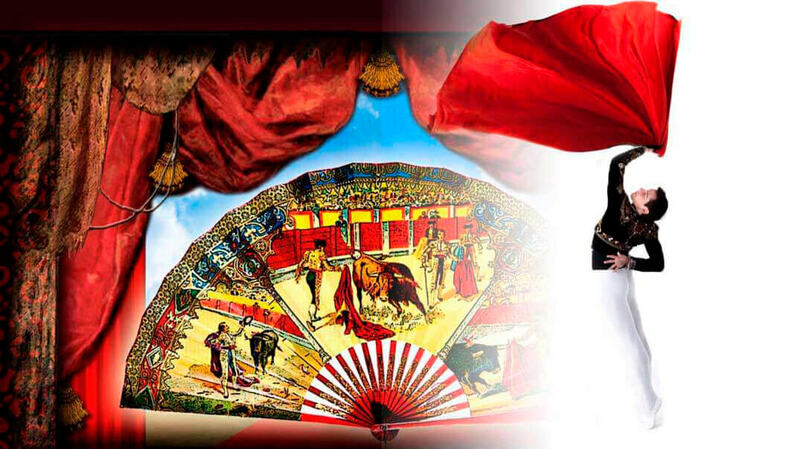 In the square appears a procession of bullfighters led by the famous Espada. The toreadors, dancing, play a fight scene with a bull. 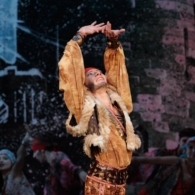 A street female dancer, who is in love with Espada, performs a dance between daggers causing everybody’s delight. 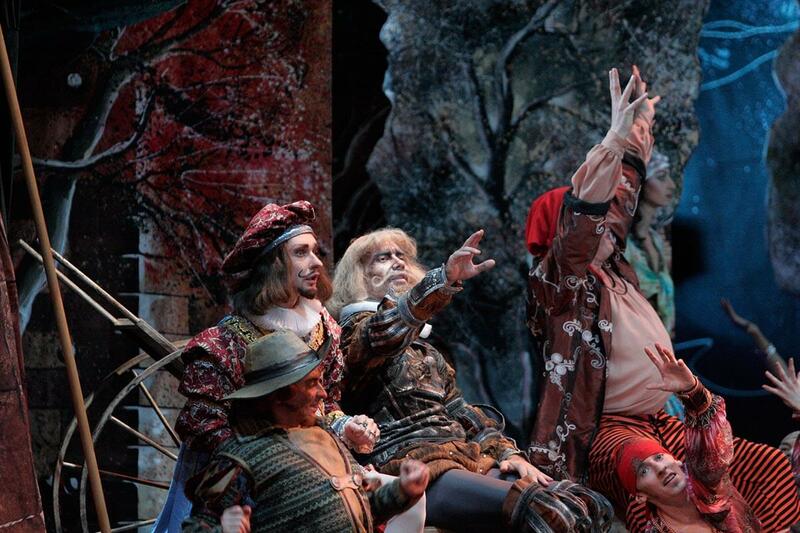 Suddenly the crowd parts – Sancho Panza heralds the arrival of knight errant Don Quixote with sounds of horns. Lorenzo respectfully invites the strange visitor to his tavern. Sancho remains in the square surrounded by townspeople, who are beginning to make fun of him. 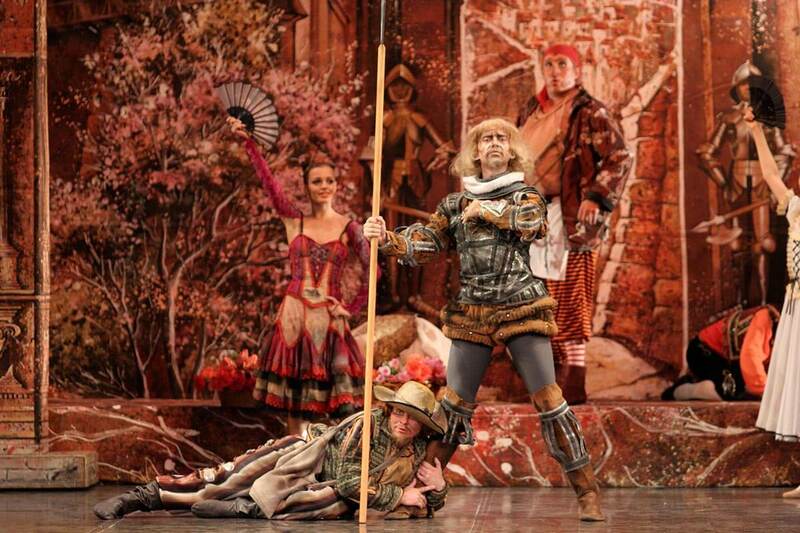 Don Quixote hurries to rescue his squire. Dancing is renewed. The lovers, Basil and Kitri, are together again. 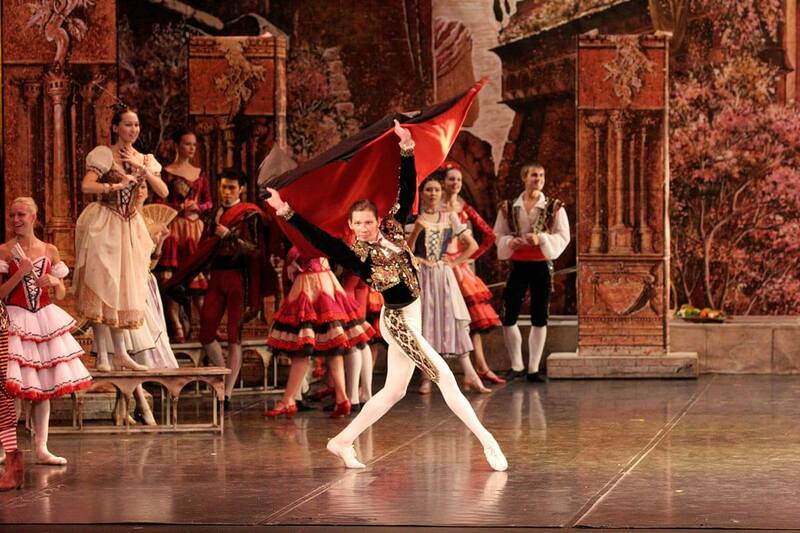 The knight sees Kitri and takes her by the lady of his heart. 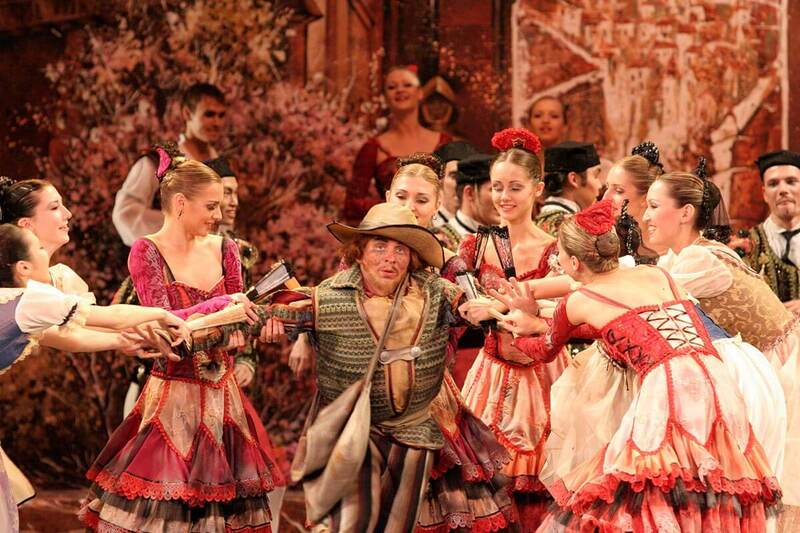 Don Quixote kneels before the innkeeper’s daughter, but Kitri runs away with Basil. 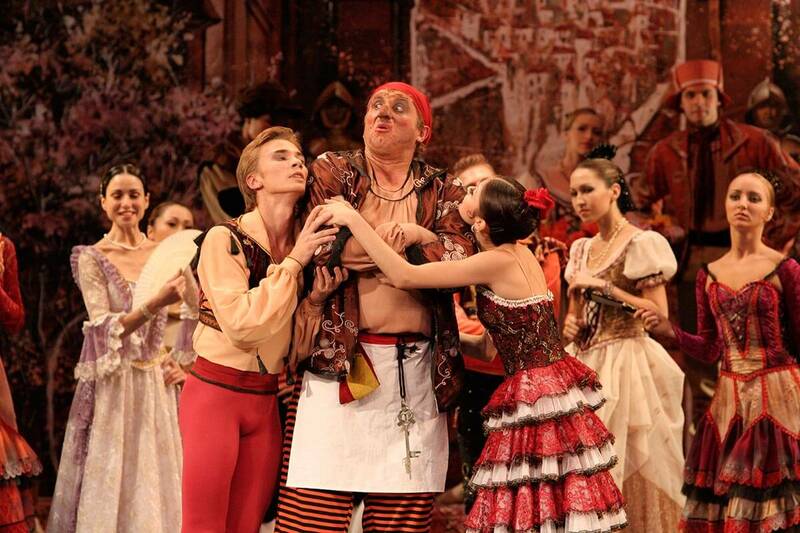 Kitri’s father, Gamache, Don Quixote and his squire go looking for her. Kitri and Basil have retired at the mill, which is the favorite place of their secret meetings. Next to the mill there is a Gypsy encampment who welcomes the young lovers. 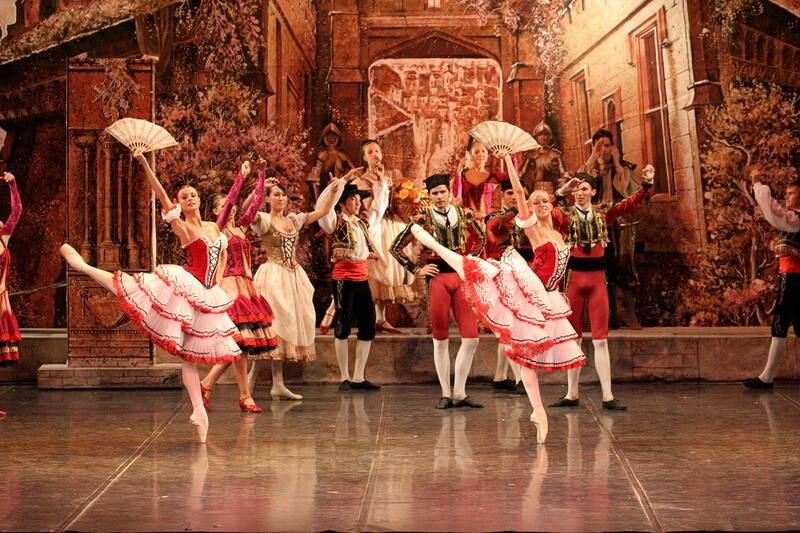 Suddenly, there appears a group of pursuers led by Kitri’s father Lorenzo. 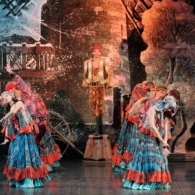 The Gypsies disguised Basil and Kitri beyond recognition and start dancing in front of Don Quixote and Gamache in order to beat the pursuers out of reason. 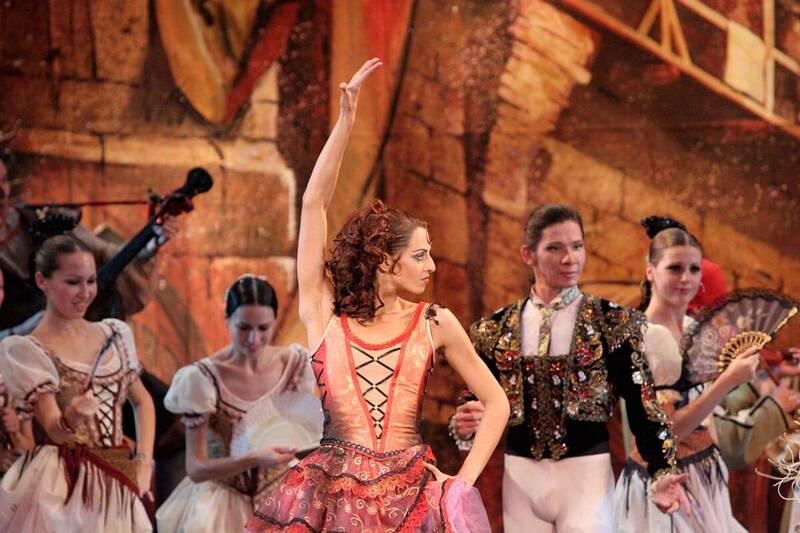 But Gamache recognizes Kitri and Basil. 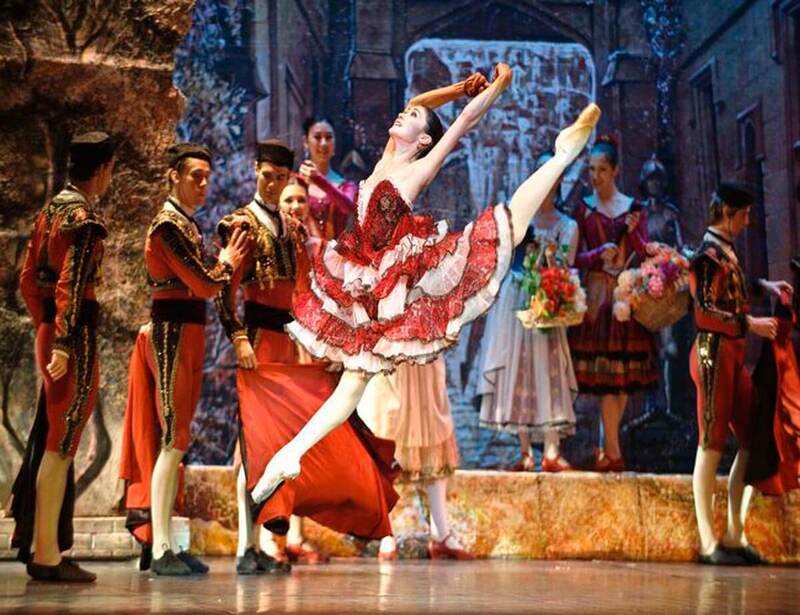 Kitri begs Don Quixote to save her from the hateful marriage. 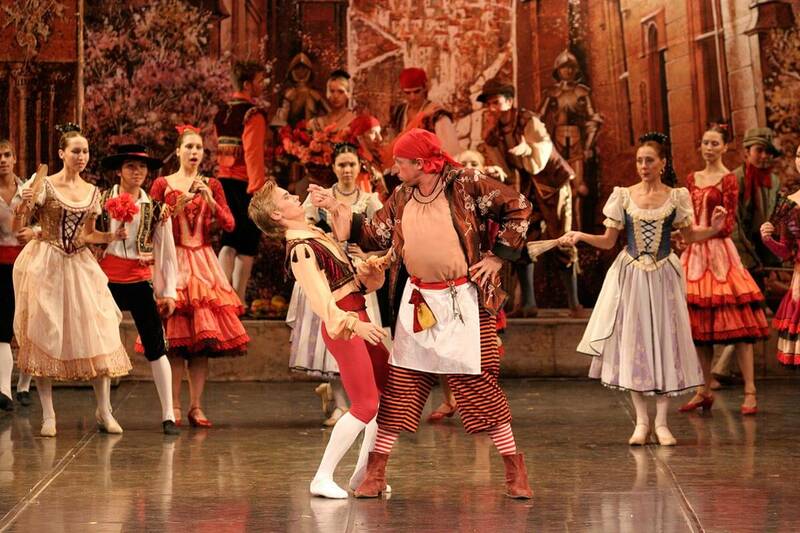 Don Quixote challenges Gamache. Treacherous Lorenzo helps Gamache to win Don Quixote. The wounded knight minds a vision – he thinks that he is in a great forest between some ancient castle ruins in the realm of the Dryads. 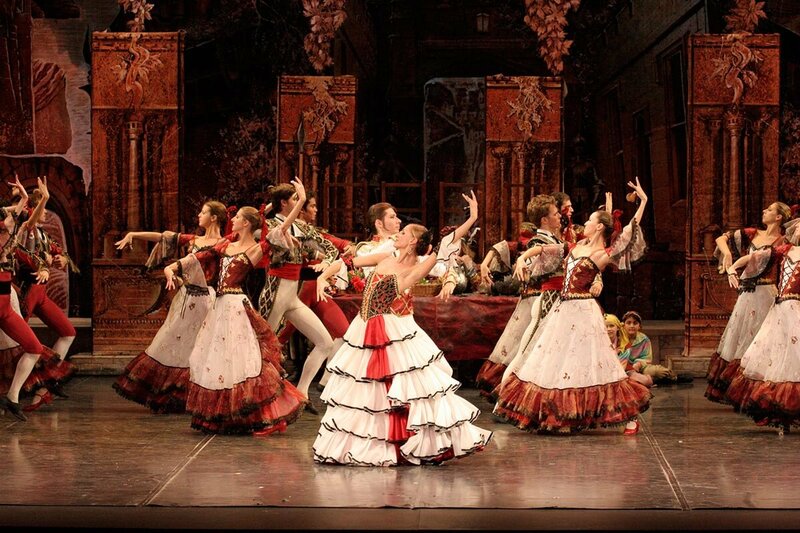 Here Cupid wounds his heart by an arrow and love of Don Quixote to the beautiful lady becomes eternal. But this is just a dream. Sancho returns his master to reality. 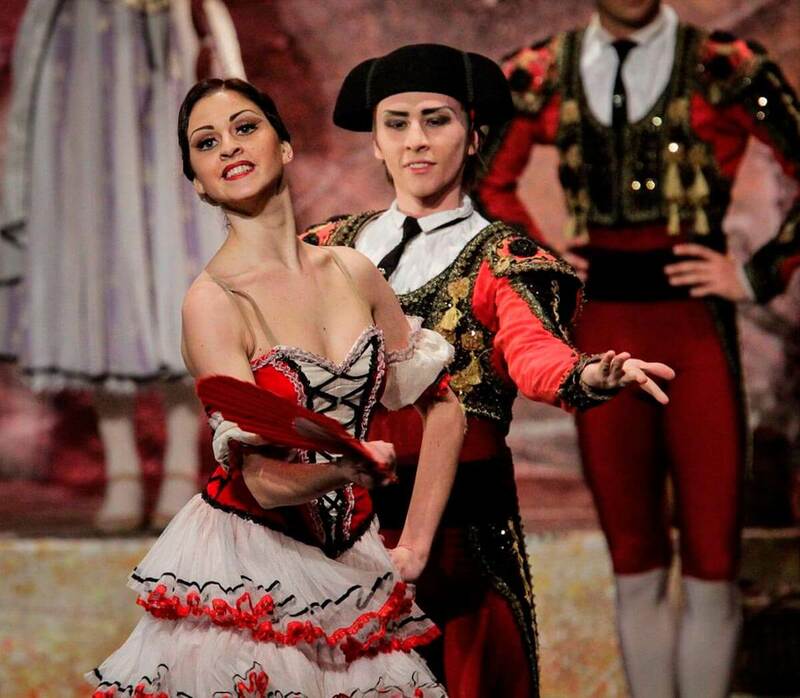 Gamache and Lorenzo appear, they are searching for the runaway lovers – Kitri and Basil.